My dear friend Mark . . .
With immense sorrow — all of us who knew Mark Epstein are saddened beyond description that he has passed away. He fought nobly and optimistically for his life, and, even with the end nearing, maintained his playfully mischievous sense of humor and zest for being with his friends and colleagues. All of us extend heartfelt sympathies to his mom, his children, and family. He didn’t want anyone to feel sorry for him for what he was going through; rather, he wanted to continue living to the fullest, as best he could under the circumstances. He was incredibly courageous. 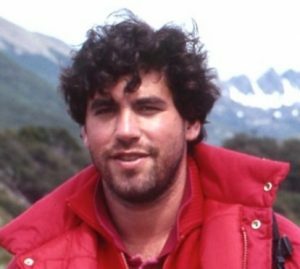 Mark’s fighting spirit infused all causes in which he engaged, from coral reefs to spotted owls and rainforests, to Antarctica, the Southern Ocean, and penguins. He stood tall, fighting strategically for long-term good and lasting results. Short-term, fleeting tactical gains just weren’t his idea of progress. In recent years, I worked very closely with Mark to fashion a long-term vision and mission for Oceanites, and was totally inspired by what Mark brought to the table. That’s what will endure. He instilled in me and all of us who’ve ever worked with him the notion of seeking higher ground and a higher purpose, to carefully and methodically and strategically chase everlasting goals, for ourselves and for our planet. Perhaps my fondest recollections are of the many serious, intellectual backs-and-forths we had about everything from US politics to maintaining and enhancing the achievements of the Antarctic Treaty system. We could differ and disagree, but there was always respect for each other’s opinions and, at the end of the discussion, fashioning a positive way forward. In his inimitable way, Mark spread considerable joy and knowledge to a wide cohort of people. He led the life he intended and fought hard for what he believed in. He will continue to inspire me and remain, forever, in my thoughts. And I will miss him immensely.